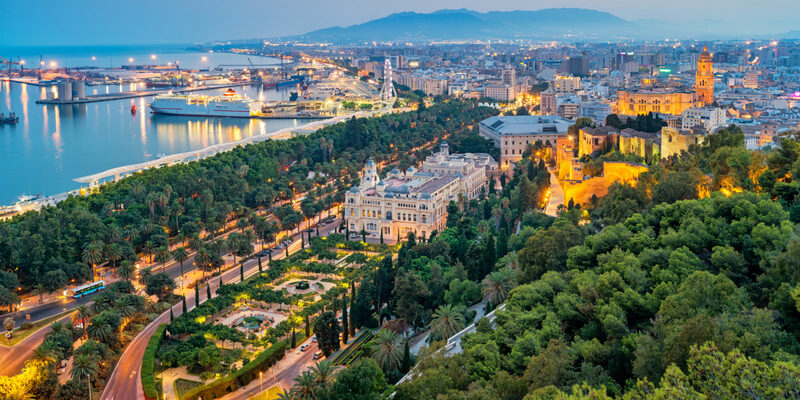 The Spanish coastal city of Málaga is rife with historical sites, wonderful food and rich culture. In fact, it just might be the most underrated spot in Costa del Sol. When it comes to Costa del Sol, Málaga tends to get overlooked by tourists. But when I spent a year living in Spain, I got to know the seaside city during several memorable visits. The vibrant metropolis brims with art, history, food, wine and other delights that kept me coming back. 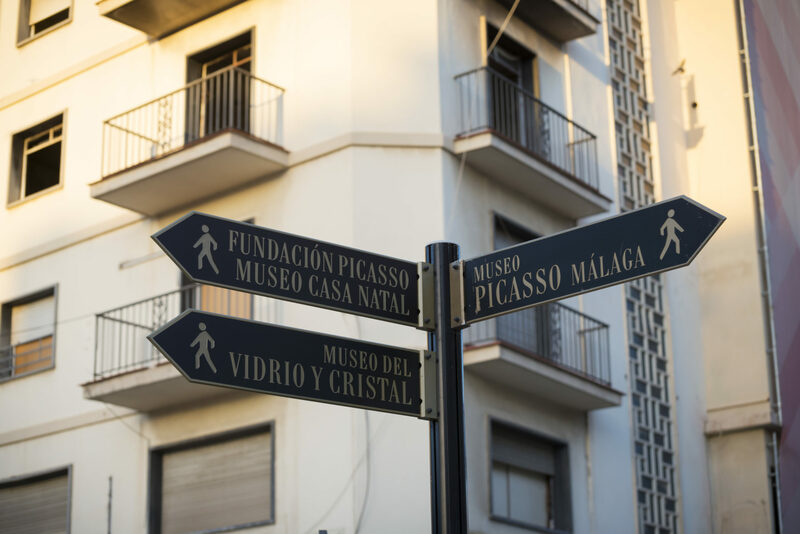 Pablo Picasso was born in Málaga, so it’s no surprise that the city is home to two excellent museums honoring the legendary artist. I visited both with a friend, and we were each charmed by different exhibits. My favorite part was seeing more than 200 pieces of the artist’s work at the lovely Museo Picasso. But my friend was partial to the Museo Casa Natal — Picasso’s birthplace museum. The latter features a preserved version of Picasso’s childhood home and offers a fascinating glimpse into the artist’s early life. I like excursions that come with a view, which is exactly what I found at Alcazaba and Gibralfaro Castle. The Alcazaba is one of the oldest Moorish fortresses in Spain; despite having seen similar palaces in Seville and Granada, I was particularly impressed by the Alcazaba’s unique atmosphere. It’s formidable from the outside, but the interior is replete with elegant archways featuring intricate wooden carvings, sunny terraces with reflecting pools, romantic gardens with bubbling fountains and tower views that look straight across the Mediterranean and into Africa. From the Alcazaba, I hiked uphill to the Gibralfaro Castle. While the interiors here aren’t as elaborate as the Alcazaba, it’s worth the trek for the history and the views. The Gibralfaro was the infamous site of a three-month siege by monarchs Ferdinand and Isabella, which ended only when Malagueños were forced to surrender due to lack of food. 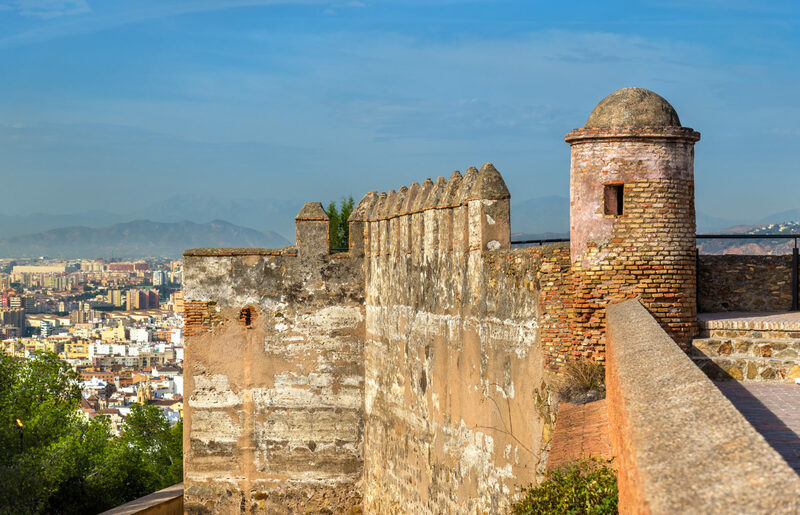 The castle’s outer walls offer stunning views of Málaga and its 19th-century bullring. I was so enamored that I stayed to watch the sunset before heading back down to town. Both the Alcazaba and Gibralfaro are free to visitors on Sundays after 2 p.m. This is typically the hottest time of the day, so prepare for the sun and bring water if you plan to hike all the way up the hill. Indulge in tapas and wine. Each area of Spain has its own signature tapas dishes. 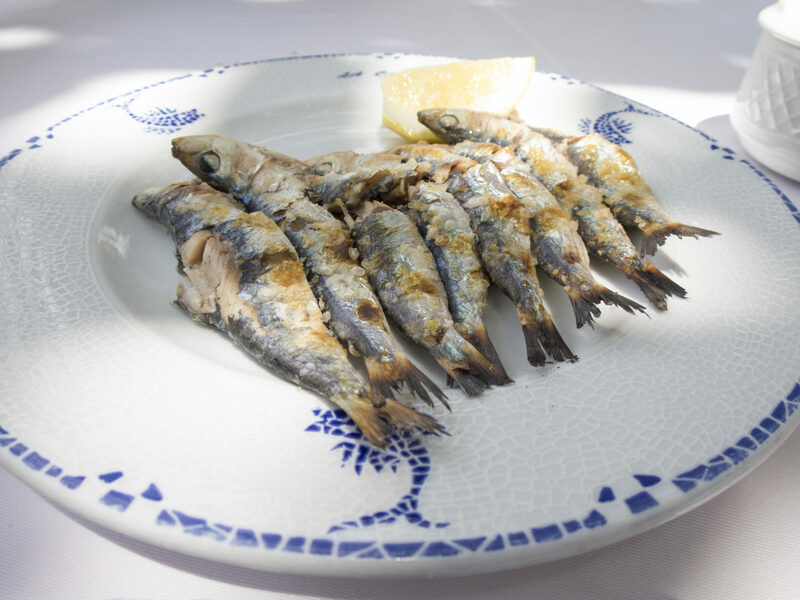 Espetos, or grilled sardines on a skewer, are a Málaga specialty. My friend was reluctant to try them and wrinkled his nose at the sight of six whole fish on a skewer, but he ultimately conceded that they were pretty delicious — especially when eaten on a beach and washed down with a cold beer. My favorite breakfast spot was Casa Aranda, a classic Málaga eatery known for tejeringos y chocolate — Spanish-style churros with hot chocolate. The hot chocolate is sumptuously rich and thick, making this an especially wonderful treat on a cool, rainy day. Málaga is also known for its namesake sweet red wine. So I knew I had to try a sip during my first trip! Although it was a tad too sweet for my tastes, every restaurant I visited offered a vast selection of local wines, so I had no trouble finding a different vino that better suited my taste. I lived inland in Spain, but during the hot summer months I escaped to the coast often. 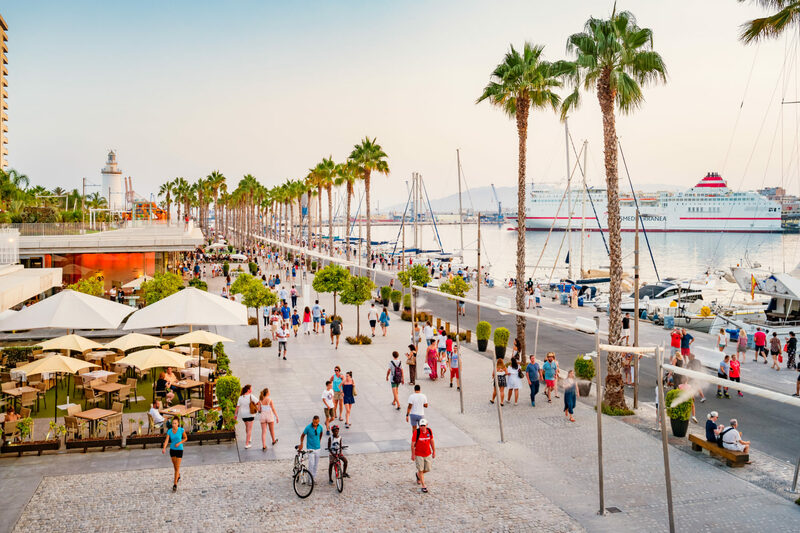 In Málaga, I especially enjoyed morning runs along the sea, evening strolls on the long boardwalk and watching the sunset on the beach with friends. The Baños del Carmen, a beach located just east of downtown Málaga, was by far my favorite oceanside spot. The beach is named for the ritzy seaside club and spa that opened there in 1918, and the buildings still echo its former grandeur. My Malagueño friend brought me here for a night of live music and a low-key meal, and it was a welcome respite from the main tourist track. I couldn’t help picturing the likes of Jay Gatsby and company partying the night away back in the 1920s. During my time in Spain, the abundance of holidays and festivals amazed me. 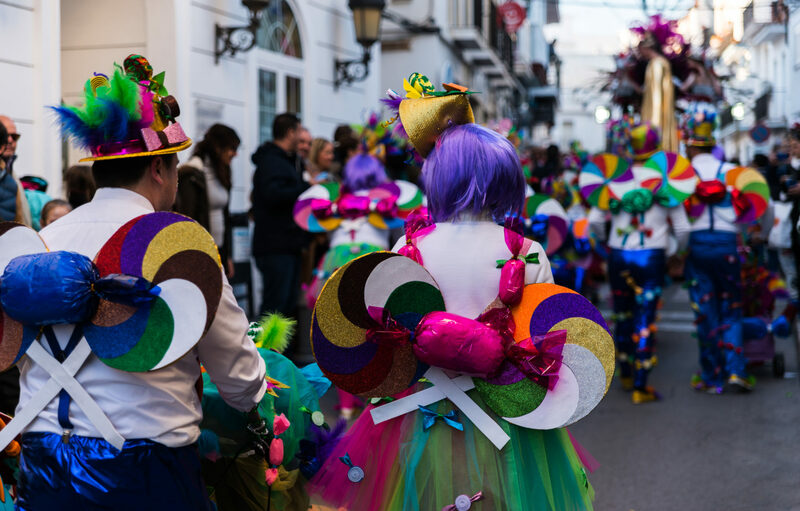 It seemed like every other weekend, entire cities were celebrating a local or national holiday, and Málaga was no exception. One of my most memorable visits was during the Feria de Málaga, or Málaga Fair, which takes place every August. During the hedonistic weekend, I enjoyed concerts, fireworks, food, dancing and plenty of socializing. I even got into the spirit by donning classic feria garb: a frilly red polka-dotted dress and flamenco heels. I also visited Málaga during Semana Santa, or Easter week, when Spaniards take to the streets in elaborate processions, carrying statues of saints on ornate floats. While the festivities are Catholic in nature, many of my Spanish friends who don’t consider themselves religious participated in the processions as a matter of tradition and culture, and I felt honored to witness the festivities.